You may be surprised to know that maintaining healthy teeth isn’t just about good tooth brushing; it actually has a lot to do with your diet. Eating foods rich in calcium and vitamins can build strong teeth and bones, while poor food choices can increase your chance of getting cavities. Here’s a list of foods that have the largest impact on tooth decay and tips to help you reduce the risk. Sugary Foods: Bacteria in your mouth use the sugary foods you eat to produce acids. It’s these acids that are responsible for dissolving tooth enamel and leading to tooth decay. Candies, like caramel and jelly beans, can be especially harmful because they stick to your teeth — literally exposing your teeth to “acid attacks” for long periods of time. Refined Carbohydrates: Foods like bread, crackers, and chips, although healthier than candy, can be just as harmful to your teeth. If high-carb foods stay in your mouth, they break down into simple sugars, once again subjecting your teeth to decay-causing acids. Sodas and Energy Drinks: You probably already know that sugary soft drinks are not a healthy choice for your teeth, but the American Academy of General Dentistry says that sugar-free soft drinks can also lead to decay because of their high phosphoric acid content. Other acidic drinks that put your teeth at risk for cavities are energy drinks and canned iced teas. Fruit Juice: Although fruit is a healthy part of a balanced diet, fruit juices can cause tooth decay due to high levels of citric and malic acids and added sugar. Acidic Foods: Fruits like lemons, limes, oranges, and grapefruits, though healthy to eat, are high in citric acid and can cause the enamel of your teeth to erode when left in your mouth for too long. Other acidic foods like wine, pickles, and tomatoes can also cause these issues. According to the American Academy of Pediatric Dentistry, 90 percent of the food we eat is made up of sugars and starches. This makes eliminating sugars next to impossible. But with sensible food choices and a good oral hygiene routine, you can protect your teeth from dental decay. And here are some tips to get you started. Eat sugary foods at the end of your meal to reduce the number of times your teeth are exposed to acids. Incorporate healthy snacks into your diet by eating more cheese, raw veggies, nuts, fruits, peanut butter, and sugarless gum. Drink less soda and more water and milk: Even chocolate milk is a good alternative. Use a straw if you drink a soda or high acidic drink to limit the contact with your teeth. Brush your teeth with fluoride toothpaste after eating sugary foods, and when brushing isn’t possible “swish and swallow” with plain water. Prevention is always the best medicine — as the saying goes. So, along with a healthy diet and good home care, a dental discount plan can help put the focus on prevention for you and your family. These plans have affordable premiums, as well as an extra advantage of no deductibles, no yearly plan maximums, or excluded services. And as a plan member, you’ll receive a discount of up to 50%, not just for services like checkups, fluoride treatments and preventive cleanings, but for all dental services when your treatment done by a participating dentist. 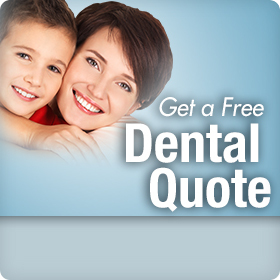 Just click on this link to gain access to a Confident® dental discount plan through Careington®.